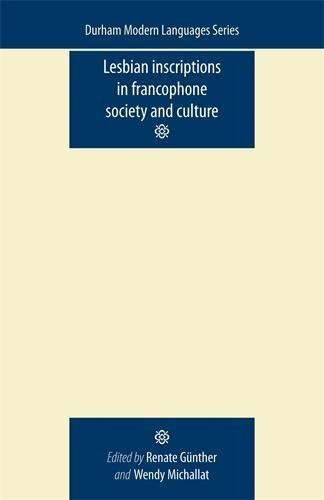 This book represents the first comprehensive collection of essays in English dedicated entirely to the study of lesbian inscriptions in francophone society and culture. Spanning the period from the early nineteenth to the twenty-first century, the volume offers a range of interdisciplinary perspectives on ways in which lesbianism has been represented and represented itself, with essays on poetry and the novel, contemporary film and television, photography and architecture. These essays will appeal to students and scholars of gender studies and French literature and culture. If you have any questions about this product by Manchester University Press, contact us by completing and submitting the form below. If you are looking for a specif part number, please include it with your message.